Professors Linda Nash (University of Washington) and Marsha Weisiger (University of Oregon) co-founded the Cascadia Environmental History Collaborative (CEHC) in 2014. The group consists of graduate students and faculty from across the Pacific Northwest, including Oregon, Washington, and British Columbia. The CEHC retreat offers the opportunity to workshop papers and presentations, develop collaborations, and make connections with like-minded scholars in a relaxed, informal atmosphere. Last year, in addition to paper workshops, the program included a screening of the film, "DamNation," a discussion of books useful in teaching environmental history, an "Anthropocene Slam: Cabinet of Curiosities" roundtable, and a soggy but relaxing hike in Mount Rainier National Park. For more background on the CEHC retreat and retreating more generally see, "Practicing in Place: The Environmental History Retreat" by Hayley Brazier, a PhD student at the University of Oregon and member of CEHC. Sponsored by the Center for the Study of the Pacific Northwest. Anne Hyde is the author of the prizewinning book Empires, Nations, and Families: A New History of the North American West, 1800-1860, which garnered the 2011 Bancroft Prize and was a finalist for the Pulitzer Prize. The book retells the story of the American West in the decades before the Civil War by focusing on the Native empires, trappers, traders, bankers, and politicians who built a global fur trade. Professor Hyde also edits the Western History Association's Western Historical Quarterly, which moved to the University of Oklahoma in January of 2016. 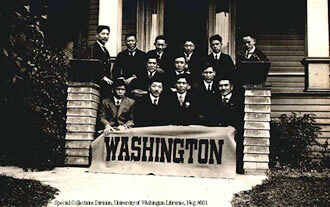 Sponsored by the Center for the Study of the Pacific Northwest and UW History Department. Professor Edward D. Melillo will talk about his new book, Strangers on Familiar Soil: Rediscovering the Chile-California Connection (Yale University Press, 2015). This groundbreaking history explores the many unrecognized, enduring linkages between the state of California and the country of CHile. The book begins in 1786, when a French expedition brought the potato from Chile to California, and it concludes with Chilean president Michelle Bachelet's diplomatic visit to the Golden State in 2008. During the intervening centuries, new crops, foods, fertilizers, mining technologies, laborers, and ideas from Chile radically altered California's development. In turn, Californian systems of servitude, exotic species, educational programs, and capitalist development strategies dramatically shaped Chilean history. Edward D. Melillo is Associate Professor of history and environmental studies at Amherst College. He teaches courses on globla environmental history, the history of the Pacific World, and commodities in world historical perspective. Lecture Series: "Excavating Seattle's histories: Peoples, politics, and place"
The 2016 History Lecture Series with John M. Findlay, Quintard Taylor, Linda Nash, and James N. Gregory. The series begins on January 13 and continues on Wednesday evenings through February 3. All lectures begin at 7:30 p.m. and will be held in Kane Hall, room 130. Seattle's remarkable past encompasses the stories of Native Americans and pioneers, labor agitators and civil rights activists, loggers and environmentalists, aircraft riverters and software moguls. In this signature series of lectures, four UW scholars chart the social worlds, environments, and political conflicts that shaped the city's past and its present. Presented by the University of Washington Department of History and the UW Alumni Association, with introductory remarks by four former Seattle mayors. Diana Di Stefano is Assistant Professor of History at the University of Alaska Fairbanks. Lisa Lowe (Tufts University), "Sugar, Tea, Opium, Coolies: The Intimacies of Four Continents"
Jennifer Morgan (New York University), "Partus Sequitur Ventrem: Slave Law and the History of Women in Slavery"
Michael Witgen (University of Michigan), "Seeing Red: The Politics of Crime and Punishment on the Northern Borderlands of the Early American Republic"
Shelley Streeby (University of California, San Diego), "Hubert H. Harrison's Scrapbooks, Racial Capitalism, and the Black Radical Tradition"
Manu Vimalassery (Texas Tech University), "Native and Black Visions of Self-Determination"
Peter James Hudson (Vanderbilt University), "Black Sovereignty and Racial Capitalism: The National City Bank in Haiti and Liberia, 1910-1935"
Jodi Kim (University of California, Riverside), "Debt Imperialism, Settler Modernity, and the Necropolitics of the Promise"
Andrew Friedman (Haverford College), "Meridians and Parallels: Racial Formations on the Global Grid"
The 1864 Sand Creek Massacre stands as one of the most infamous and brutal examples of white violence against Indian peoples in American history. And for nearly a century and a half, this event has been at the center of multiple struggles over history and memory in the American West; whether in the government investigations launched in the massacre’s aftermath, in the controversial work of nineteenth-century Indian reformers such as Helen Hunt Jackson, or in popular histories like Dee Brown’s Bury My Heart at Wounded Knee. In this talk, Professor Kelman examines the ways in which generations of Americans have struggled to come to terms with the meaning of both the attack and its aftermath, and to shape public memory of the event--most recently with the 2007 opening of the National Park Service’s Sand Creek Massacre National Historic Site. Ari Kelman is an Associate Professor of History at the University of California, Davis. He teaches courses on the Civil War and Reconstruction, the politics of memory, environmental history, Native American history, World War II, and America in the 1960s. Please respond to cspn@uw.edu or 206-543-8656 if you will attend. The Department of History will mark the inauguration of the John Calhoun Smith Endowed Professorship with a talk by John Findlay. John M. Findlay joined the Department of History in 1987. His teaching and research focus on U.S. history, the North American West, and the Pacific Northwest. He has served as Managing Editor of Pacific Northwest Quarterlyfor more than 15 years, and was founding Director of the Center for the Study of the Pacific Northwest. 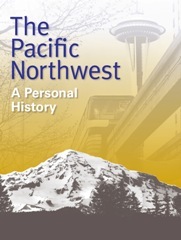 His publications on the region have included studies of Seattle and the UW, histories of Northwest literature and identity, and a book on Hanford and the Tri-Cities (with co-author Bruce Hevly). Lissa K. Wadewitz will present a lecture based upon her recently published book, The Nature of Borders: Salmon, Boundaries, and Bandits on the Salish Sea (Seattle: Center for the Study of the Pacific Northwest, in association with University of Washington Press, 2012). Richard White (Stanford University) describes it as "the first book anyone interested in Pacific Salmon should read," and Joseph E. Taylor III considers it "an excellent and timely examination of how humans have organized ecological and social space across time." Baldoz will examine the complex relationship between Filipinos and the United States during the first half of the 20th century. His talk will focus on what Filipino immigration to the United States reveals about the racialized economic and political foundations of American society. Talk sponsored by the Center for the Study of the Pacific Northwest, the Southest Asia Center of the Jackson School of International Studies, the Department of History, and the Department of American Ethnic Studies. With the passage of the Homestead Act, the Pacific Railroad Act, and the Morrill Act in 1862, the U.S. federal government drew a new blueprint for colonizing and developing the American West. Featuring a range of prominent historians, this lecture series will explore how state power shaped the West and how the West reshaped state power over the past 150 years. Free and open to the public, but tickets required. Please contact the Center for the Study of the Pacific Northwest: cspn@uw.edu; 206-543-8656. Sponsored by the Center for the Study of the Pacific Northwest, the Simpson Center for the Humanities, and the University of Washington Libraries. who endeavored to counter the racist claims of anti-Japanese exclusionists. Presented by the Center for the Study of the Pacific Northwest with support from the Simpson Center for the Humanities. her forthcoming book, Samurai among Panthers. Revolutionary Life of Yuri Kochiyama (2005). On the banks of the Pacific Northwest's greatest river lies the Hanford nuclear reservation, an industrial site that appears to be at odds with the surrounding vineyards and desert. The 586-square-mile compound on the Columbia River is known both for its origins as part of the Manhattan Project and for the monumental effort now under way to clean up forty-five years of waste from manufacturing plutonium for nuclear weapons. Hanford routinely makes the news, as scientists, litigants, administrators, and politicians argue over its past and its future. It is easy to think about Hanford as an expression of federal power, a place apart from humanity and nature, but that view distorts its history. Atomic Frontier Days looks through a wider lens, telling a complex story of production, community building, politics, and environmental sensibilities. Radical movements embracing and demanding racial justice have figured prominently in the history of the “left coast” of the United States. They have also generated violent responses, including state repression, that reverberated across the United States and around the world. Adoption has been a politically charged subject since the Progressive Era, when it first became an established part of child welfare reform over one hundred years ago. In A Home for Every Child, Patricia Susan Hart looks at how, when, and why modern adoption practices became a part of child welfare policy. Shadow Tribe offers the first in-depth history of the Pacific Northwest's Columbia River Indians - the defiant River People whose ancestors refused to settle on the reservations established for them in central Oregon and Washington. Largely overlooked in traditional accounts of tribal dispossession and confinement, their story illuminates the persistence of off-reservation Native communities and the fluidity of their identities over time. Cast in the imperfect light of federal policy and dimly perceived by non-Indian eyes, the flickering presence of the Columbia River Indians has followed the treaty tribes down the difficult path marked out by the forces of American colonization. This lecture series, organized by the Pacific Borderlands group, showcases scholarship in the growing fields of borderland studies and the Pacific world. Designed to bridge disciplinary and institutional boundaries these talks offer an opportunity to think about the trans-Pacific connections that have shaped the borderlands. Tuesday, February 23, 2010; 4:00 p.m.
Thursday, March 4, 2010; 4:00 p.m.
Thursday, April 22, 2010; 4:00 p.m.
Tuesday, May 25, 2010; 4:00 p.m.
Jack O'Dell and Nikhil Pal Singh will discuss their recent collaboration on Climbin' Jacob's Ladder: The Black Freedom Movement Writings of Jack O'Dell (University of California Press, 2010) and the course of the black freedom movement in the twentieth century. Jack O'Dell is a longtime peace and social justice activist. Beginning as a rank-and-file union organizer while in the merchant marines during World War II, he went on to head the Southern Christian Leadership Conference's fundraising and southern voter registration campaign, alongside Martin Luther King, Jr. O'Dell was later in charge of foreign policy for Jesse Jackson's People United to Save Humanity and Rainbow Coalition. He currently lives in Vancouver, Canada. Nikhil Pal Singh is Associate Professor of Social and Cultural Analysis and History at New York University and the author of Black Is a Country: Race and the Unfinished Struggle for Democracy (Harvard University Press, 2004). Sponsored by the Simpson Center for the Humanities, Center for the Study of the Pacific Northwest, Hilen Endowment for American Literature and Culture, and Interdisciplinary Arts and Sciences, UW-Bothell. David Roediger is Kendrick C. Babcock Professor of History and African American Studies at the University of Illinois, Urbana-Champaign. His many books include Our Own Time (1989), The Wages of Whiteness (1991), Towards the Abolition of Whiteness (1994), Colored White (2002), Working Toward Whiteness (2005), and How Race Survived U.S. History (2008). Sponsored by the Center for the Study of Pacific Northwest, the Department of History, the Harry Bridges Center for Labor Studies, and the Simpson Center for the Humanities, with thanks to Yoshiko Harden, Director of Multicultural Services and Student Development at Highline Community College.